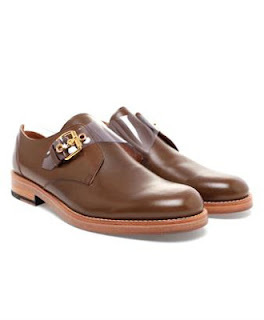 I have to admit that the world would be a bit less interesting without the cheeky aesthetics of Marc Jacobs. 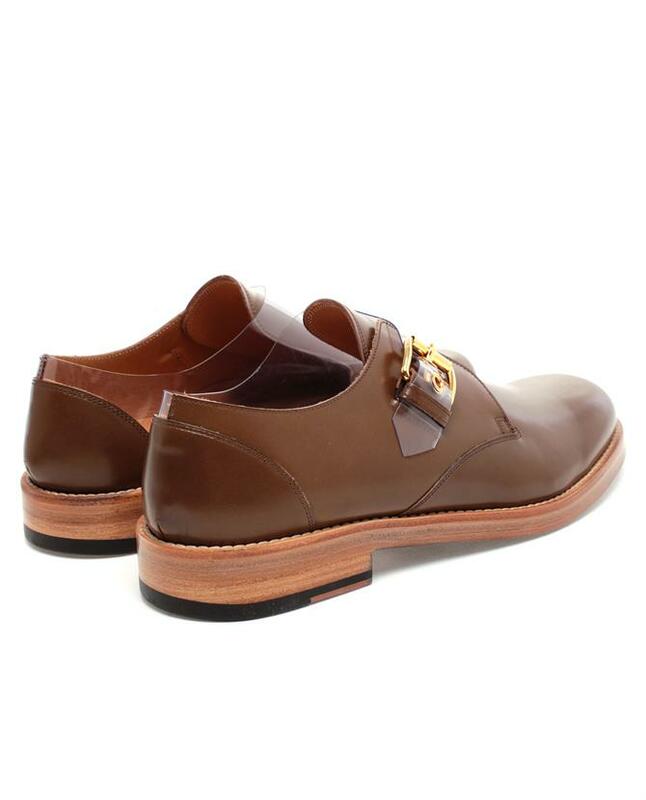 Jacobs is a man who realizes that fashion is an artistic movement steeped in history, business, fantasy and fun. This kind of explains his Leather and PVC Monk Shoe for spring. 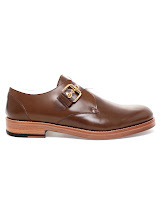 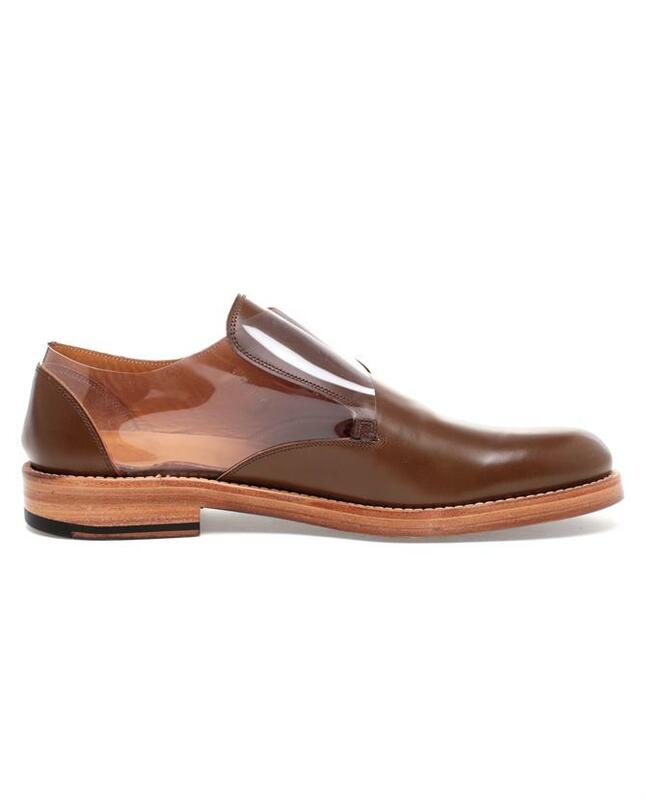 The historically dapper monk strap shoe is given one of his fun and cheeky remixes with the strap and inside upper shoe being fashioned out of clear PVC. Business ushers in since I'm sure these will not last too long in stores. Available now with international shipping now at Browns London.